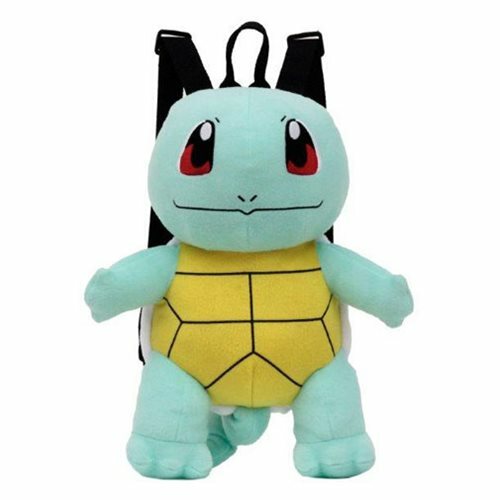 Take Squirtle everywhere you go with this Pokemon Squirtle 17-Inch Plush Backpack! Misty's water Pokemon can now help you carry all your needs with a zippered compartment and adjustable straps. Next time you visit a Pokemon village, remember to take your Pokemon Squirtle 17-Inch Plush Backpack! Ages 13 and up. What Pokémon Backpack Will You Choose?